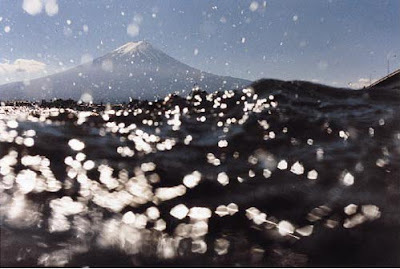 I'm intrigued by these photographs by Asako Narahashi. There's something about them that's at once both slightly frightening and strangely comforting about them (okay, I once spent some time floating around in the English Channel as part of the training for an offshore rescue boat...). 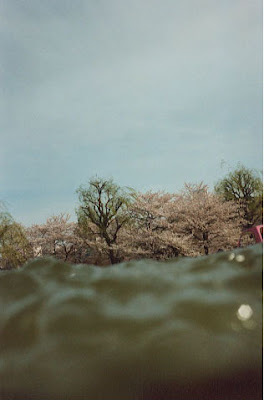 "half awake and half asleep in the water by Tokyo-based photographer Asako Narahashi. A suite of fifteen 20" x 24" photographs, showing images with half of the photographic surface covered with water. 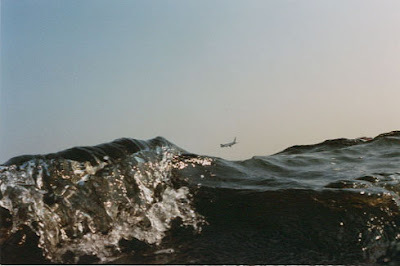 The water looks dark and poetic, and would naturally call in images of sleep and the subconscious. 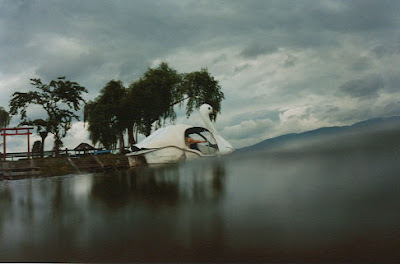 Asako Narahashi once remarked that she was not particularly fond of the ocean, rivers or lakes. She began her half awake and half asleep in the water probably in 1998, after her visit to Okinawa in the summer, and where she experienced, after a long time, snorkeling and the joy of floating in the sea. She was then working on another project and discovered in her contact sheet this vague and unclear image that she described, "just like the moon without an edge floating on the ocean, beyond everyday life." The image must have been lying in her sub consciousness and imprinted somewhere in her brain. It has now come to surface and steered her towards a refreshingly new direction. The photographs in half awake and half asleep in the water are images that peek from this shore through to the other shore. 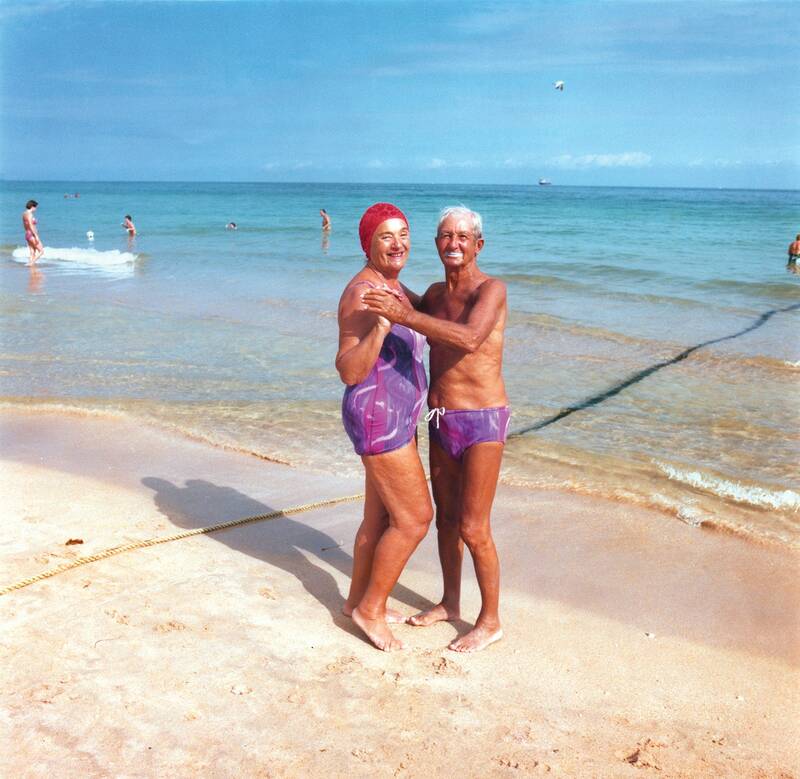 They look candid and relax, but are the labour of courage and love from an artist who is not a great swimmer. The art critic Kotaro Iizawa has commented on this series,"The visual line does not settle and leans heavily to one side, while the calm and collected colours of the photographs seem to trip up the viewer in an unstable manner. The feeling of being stranded however, is strangely comforting."" beautiful work, thanks for the link. I saw these last week on Heading East and have been thinking about them ever since... I love photos that make a psychic impact. William Eggleston "In the Real World"